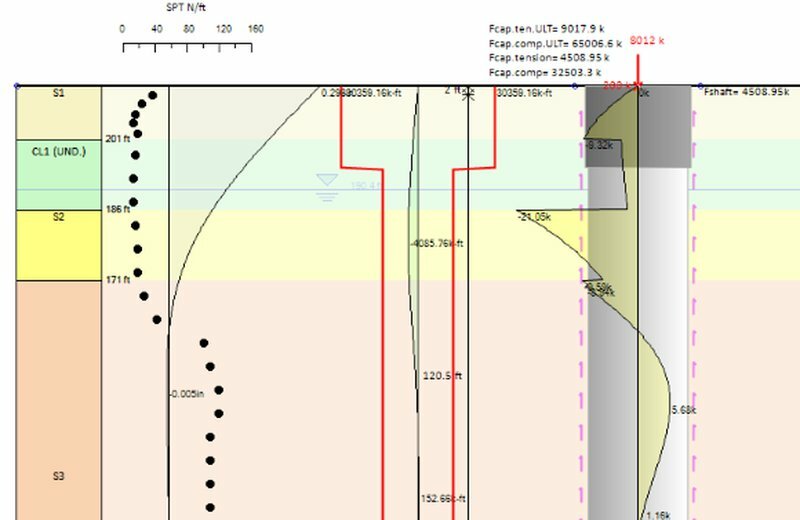 DeepFND is the ultimate software program for deep foundation design and analysis. DeepFND can do structural and geotechnical design of drilled piles, driven piles, caissons, micropiles, CFA piles, Drilled-in-displacement piles and helical piles. User can define easily the pile type, the pile section and the reinforcement. The software does full lateral and vertical pile analysis and calculates the required embedment length. 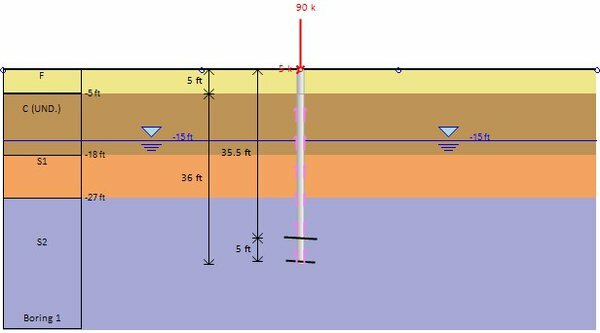 Above: DeepFND estimated all soil properties and settlement response for a large diameter drilled pile, test load data matched! This is the Deep Foundation program that the industry has been missing for years! We are now bringing together both structural and geotechnical knowledge in a complete deep foundation package. "The program is great and I have been using frequently!" The basic version of DeepFND software. 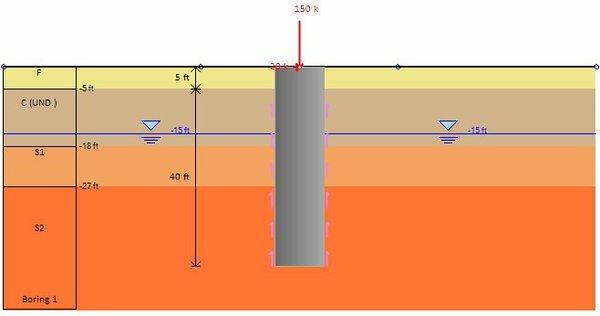 Vertical pile analysis of all non-helical types of piles.